There come times when driving seems to be impossible. During the cold months of winter, slush, snow, and even salt tend to cause a lot of issues while you are driving. You must consider having the best wiper blades to do the safe driving. I always prefer to have a new pair every six months as I don’t want to crash with any car, you know! Now, what are the best windshield wiper blades? Bosch 26A Icon	 FX Dual Rubber	 13" - 28"
Rain-X Latitude	 Synthetic Blend Rubber	 14" - 28"
Michelin Hybrid	 Rubber	 16" - 28"
Aero Premium	 Specially Blended Rubber	 13" - 28"
Valeo 900221B	 Tec3 Advanced Rubber	 15" - 29"
ANCO Contour	 Advanced Rubber Compound	 14" - 28"
PIAA 95055	 Patented Silicone Rubber	 12" - 16"
Buying the winter windshield wiper blades for your car is an issue that must be done with some regularity and considerations. It is possible and easy to walk into any auto parts shop, pick any wiper model that fits the car. Does the blade fit the car? – It is advisable that a blade should be checked to ensure that the brand being purchased fits the car’s windshield before the pricing and purchase are made. You can simply choose your car model on Amazon to get the right size. Connectors – in case an individual cannot connect the blades to the car wiper blade’s fitting, then this is another trouble. The blade that you are intending to buy should have these connectors: slide pin, hook or the bayonet. It pays to be keen so as to identify these connectors. The type of the blade – actually, there are three types of blades: the conventional, beam and hybrid blades. The conventional blades are straight and they are fairly effective when it comes to pushing a material off the windshield. The beam blades have a very distinct curve in their middle and this curve helps much better and it conforms to many of the windshield shapes hence it helps the sticking during the snow and ice. Again, this beam blade is known for lasting longer. The hybrid blade now comes with a unique feature – it combines both the conventional and the beam blade features. They are also known for their quietness when compared to the beam blades. Find more about hybrid blades here. Don’t forget to check our windshield washer fluid reviews. The analysis and review of the top 7 wiper blades for winter and other seasons have been done, putting into considerations all the above factors. The Bosch 26A is known for its extremely curved design which is made to fit the windshields. The size of this product is between 13 inches and 28 inches. Its design comes with a spoiler which is noise-cutting and also serving in supplying the pressure across the blade, giving the driver a clean, vision clearing and smooth wiping experience. Feel safe on the road, the weather is rainy or full of snow during winter, with this pair of Bosch 26A Icon blades. The products operate very well at high speed, not like other blades. To any experienced buyer, the increase in the speed leads to a lessening of the visibility when water begins streaking across the car glass. The blade, therefore, produces a uniform distribution of pressure across the blade and the glass, resulting in a more powerful force in pushing across this surface of the glass – striking other precipitation and another road spray from the driver’s vision. The blade and its bracket are all designed to fit well in the curve of the windshield. It has the weather shielding connector so as to keep the ice and snow from forming inside the wiper brackets, hence making the wipers again easy to install. Another feature of this product is the rubber which connects directly to the glass surface. The rubber is a dual compound with a micro-finish wiping edge, enabling it to cut through winter weather with a lot of ease, but withstanding ozone deterioration and oxidation in the air and other resistance caused by heat. The Bosch dual rubber compound surely counteracts all the negative influences and distractions that blades face when in constant use. Expensive when compared to some competing blades. It does not make the wipers that fit every car out there. Consider the car prior to purchase. Bosch retains some of the highest ratings found on the wiper blade. The spring-loaded system in the frame of the wiper is another favorite, increasing higher the average ratings of the product in the market. It is a fact that these products last longer than many of the blades that have been used in the past. According to the Bosch Company, these blades have been proven to be lasting about 40% longer than some of the other premium blades found in the market. When the potential buyer is choosing for the windshield wiper blades, go for, this is one that is recommended. However, the negative reviews about this Bosch product are very minimal, they should be taken into consideration. But, most of the reviews are negative and more adequate to help in the decision for purchase for the buyer. 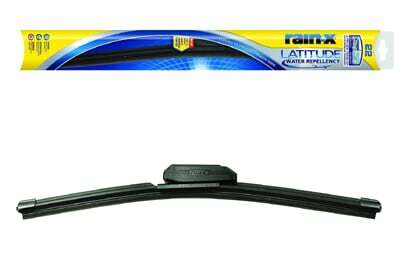 The Rain-X Latitude wiper blades should be on your list of choice once you have decided to discard the old blades from the local auto parts they simply fail to do. These blades are designed specifically for the winter seasons, including the harsh weather events and conditions that to be consistent during the daily travels and journeys. With the products, you and the family are guaranteed safety and nice journey. This blade is always recognized in for their contoured frame. Since most of the modern windshields also are not straight up and down, these blades have the contoured frame so that the wipers can hug the windshield as rain, snow, sleet and other road distractors are refuted out of vision in the glass. The cross-cutting swipe provides a powerful streak operation, wonderfully improving the visibility and the driving experience of the driver through the reduction of the cloudy remnants. The product has a graphite-infused rubber blade. This rubber component of the blade is what does the greatest work more so the heavy duty work of pushing the materials from the windshield. The Rain-X, therefore, developed the use of the graphite in their rubber design so that it adds strength and durability of the rubber when it comes to the cleaning ability and longevity. Rain-X is designed for all types of weather. The rain, snow, and sleet will have the hardest time for keeping up with the wipers. With its four pressure points along the blade, this product always ensures that the user gets an even coverage along the windshield by preventing uneven wiping that ever limits the vision. This is the set of the wipers, you choose this one if you don’t like Bosch. Just for more information, the Rain-X has come up with another new version called the Latitude Water Repellency wiper. This product is claimed to be leaving a thin Rain-X layer of the water treatment on the windshield so as to help in the flowage of water off more easily. It is high time you had this product so that you give much positive rating according to how it will work on your side. However, it is true that this product is very effective, but short-lived since it wears out very first. It is time to say a goodbye to streaks, smearing and squeaking when you have Michelin’s new Smart Flex. This has been proved to be a quality windshield wiper blade when it comes to the strictest and hardest weather conditions, especially winter. The product technology is made to adapt to the windshield curve and it is long lasting in terms of its durability and performance. Don’t doubt the ice and snow prevention. The blade has a sleek aerodynamic cover which keeps the blade from debris, ice and snow clogging. Again, the suspension within the blade is able to adjust to the shape of the windshield. This adjustment provides a strong contact between the blade and the windshield. This is not enough. Still, check out for other features. It’s’ lock connector system provides quick and easy replacement of the blade when they are worn off. From the right sources, it is true that these blades have outperformed many and mostly all the industry competitors. To those who have used these blades, they are easy to install as compared to many blades outside there. In case there are worries with the replacement and lacks that much knowledge in the maintenance, then these are the products that will not be complicated but rather easy to deal with. Therefore, it is time to have your blade, and among your preference, consider this product as well because you will never regret having chosen it at long last. AERO premium is known to be all-season frameless blades, making it an alternative for everyone with a new car that needs a good pair of blades. These blades are designed to be a direct replacement for the original blades. They come at a cost that is less than many of the products in the market of the same category. Some of the amazing features of AERO premium would include: it fits almost all the cars. 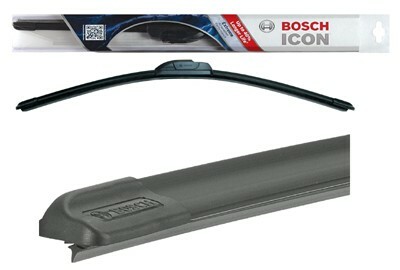 This makes it great for winter with the Bosch wiper blades frame. The product also comes in a good and extensive size range, between 13 inches and 28 inches – this is one of the largest ranges in the list of blades, in exclusion of Rain-X blades. These blades come in a pair, and this is actually more economical choice now to go for! Their design makes them flexible when in use, the ones that will definitely hug the windshield evenly, hence preventing the streaks attack. The backs of these blades also feature a well-covered design that will keep snow and ice from accumulating on the wiper, and the product is a blended rubber design to last very long on your car. They are great blades for money and for the snow as well. They do an even work – making them be good all-rounded in cleaning the car glass. Very popular ones in the market, hence they can be trusted more than any other blade. The blades are rubber-blended, meaning they actually last long. It is unfortunate that they only fit newer cars. When not well handled, they are prone to wearing fast. The lifespan decreases when used extensively during heavy weather seasons, more so in the extremely icy events. Never have any doubt to go for these blades. Even when making a drive with these wipers, the one thing that you will notice is that they are very silent, and in case you start to hear a squeaking noise, then this is a notification that it is time to get them replaced before it is too late or before they wear out completely. The other part of this set is that they come with a six-month warranty. So in case, they are not capable of holding up to the required standards, then they can be sent back in exchange for another replacement set. No more worries when it comes to replacement because the company is ever lenient with the customers. The rubber part and the whole physical design makes these blades be the good option over other conventional blades in the market. The design is contoured hence preventing them from getting stuck in the snow build-up on the windshield. Even when it is a freeze event, these blades will still stick to the windshield – and do not forget that these blades are low-end blades. They are absolutely effective when it comes to getting the work done. 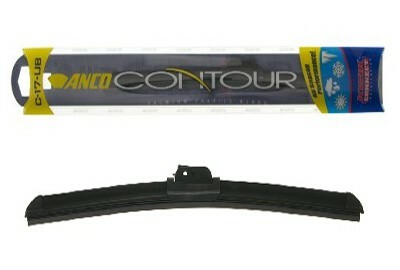 Valeo series of blades are known as all season frameless wiper blades. Their aerodynamics is one of the best among the other competitive products in the market. Vehicles gain durable and finest visibility in snowy weather due to its high-speed performance attributes. This is due to its latest Tec3 advanced technology that makes every wipe noise free and smooth. This technology makes the blades more sustainable for longer periods of time assuring no wear and tear. The integrated flexors have more than 1500 pressure points that inflict leveled pressure on the windshield from the blades for cleaning purpose with enhanced and effectual performance. 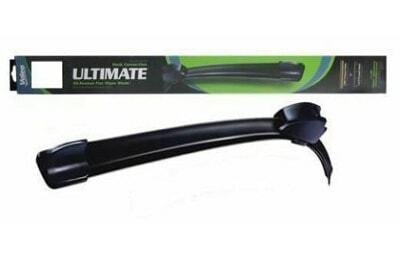 The flat blade design which is similar to the single rubber piece is considered revolutionary especially when compared to the other similar products that generally have two rubber pieces stuck to each other. The absence of metal superstructure to collect snow and ice makes this series as one of the ultimate most wiper blades for all seasons. 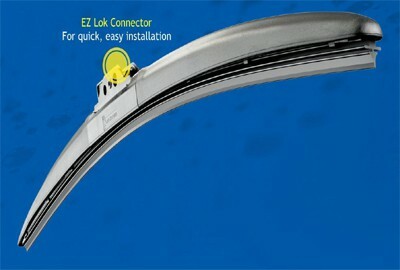 These windshield blades do not require an adapter and are much easier for installation by the user. Valeo Wiper blades are fit for any type of vehicle and they are suitable for all types of weather conditions to ensure better safety measures for the drivers. Easy to install features make them optimal for all users. Enhanced pressure points to integrate effective cleanliness for a longer duration of time. Improved contact between the blade and the shield at higher speeds. Advanced Tec3 Rubber technology for high performance. Can easily fit into all types of vehicles- domestic and international brands all can easily find a match with different sizes blades available in Valeo 900 series. Although most of the customers appreciate their performance at high speeds they start making some noise once the vehicle increases speed during long drives. The product comes with the warranty of 12 months or 12000 miles (whichever comes first) for any type of material or manufacturing defect from the date of purchase. The 1500 pressure points are evenly placed to ensure that the performance is quiet in general driving condition and there is no vibrating sound emitted. If compared to any ordinary blade they have only 4 to 8 pressure points which clearly reflect the high-performance elements of Valeo 900 blades. The improved aeroacoustics are conventional in reducing the wind noise considerably up to 3dB. The integrated flexor and the ultra flat design have led to one of the best aerodynamics of the windshield wipers that improves visibility significantly. 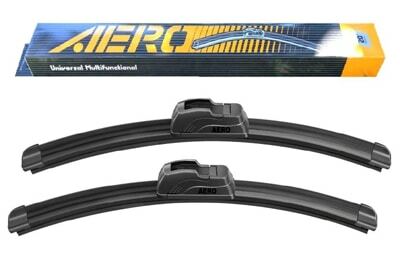 These wiper blades suit any type of weather condition for driving- snow, ice, wind etc. The definitive performance is long lasting and the advanced Tec3 rubber technology makes the performance even and efficient. Most of the customers who have used this product have given satisfactory reviews and the product is recommended by many retailers to the buyers. The high performance and endurance are the main factors that led to the success of Valeo 900 frameless all-season wiper blades to bring them in top 10 best performers! There are some specific vehicles that have small windows. In case the owner is looking for the new windshield wipers for these vehicles, there is a full coverage over the same. Also in some situations, there are some large wipers of over 17 inches which are designed for the passenger side vehicles only. Even at this time, relax because your problem is still covered. This might then call for the knowledge of every user to look for the wiper that fits every size of the vehicle’s windshield. The ANCO Contour is well designed as a small single pieced unit having numerous pressure points that are actually flexible. The flexible pressure points make an added advantage for this product, because these points give the blade a great windshield contact, improving the visibility of every driver greatly. The blades are known for its thickness, which makes it durable. It has never and will never corrode whether the weather becomes worse or freezes in temperature are recorded outside the frigid. Its performance is constant – working to the best of its ability, ensuring that the driver is ever consistent in seeing clearly. The realization that many users have recognized is the fact that these blades easy to install. The product has a quick connect system, proving their advantage support to every driver who chooses to acquire one for his car. When well-maintained, the blade will be wiping your windshield without making any sound. This means that they should be maintained and checked all the time, more so at the time that the weather is not friendly. The PIAA 95055 blades are absolutely perfect wiper blades for all extreme climate conditions. The high-quality silver rubber compound which is used in its manufacturing provides it with the required resistance for every type of adverse weather condition. The blade is inculcated with the activated silicone coating that makes these windshield wipers as an adequate water repellent. During rainy conditions, the water on the surface of the windshield starts beading up and conveniently slips away, enhancing the visibility for the driver. 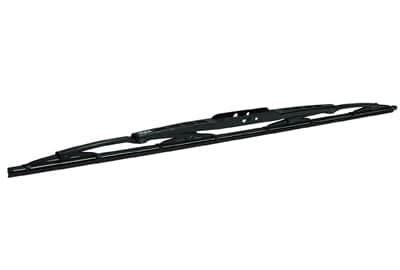 The frames of the wiper have the aerodynamic design that makes the rubber contact with the glass during high speeds on highways and broad-road drives. It prevents the scratches on the glass pane. Moreover, the frames are made extra safe by zinc- plating and a layer of powder coating. This is a very effective technique for providing suitable protection against corrosion. The longevity of the blades is ensured by the pressure application technique of the frames that apply even pressure on the windshield. The design of the PIAA wiper blades is crafted in such a way that the driver gets a clear vision and noise-free experience. Ensures maximum safety for the drivers through clear vision. Noise-free operation due to its technique and design. Silicone application technique used for water repellent action. The water beading technology makes the droplets to slip gently off the windshield’s surface. Suitable for all unfavorable and extreme weather conditions. Aerodynamics design to prevent the scratches from the glass surface. Coating of zinc and powder to provide protection against corrosion. Highly suitable pressure points to make the vision bright and clean for a long duration. The customer support team is very progressive and helpful to the customers who face any kind of trouble with usage and functionality. The long life of blades due to their design and technique. Mostly ranked with 5 stars ( 5 maximum) by the customers in their ratings. People find difficulty in their installation. Some may even contact the customer support center for help. The blades are available in a different size range from 12 inches to 22 inches to suit a various type of vehicles. Although we met a few people who find it not very easy to install and the customer support team is always there to solve such troubles. Most of the users have given a very satisfactory report of the performance of PIAA blades. The use of silicone rubber compound has made them much more reliable- 2 times better than the premium wipers. The aerodynamics used in the frames enable equal pressure points to ensure streak-free, scratch free and noise free wipes. During all types of snowy and rainy weather, water beading technology is just perfect for providing a clear optimal vision to the driver. The product is available for international as well as domestic shipping that makes it a worldwide choice of various users and ranks it among the best 7 windshield wipers! Sometimes, driving in the winter becomes much risky and dangerous if you do not have a good pair of blades to keep the windshield clear. This list is basically to guide every potential buyer towards choosing the best one for this season. It is true that no wiper blade will always perform well on every car’s windshield, the research is done still shows that Bosch Icon takes the lead as the most preferred for most drivers. This is consistently among the highly rated blades than any other model categorizing in this products. This actually means that there are higher fortunes that it will perform well for you. It will work great in the icy and snowy events better than other traditional wipers that have been on the market for so long. In case you want an even and less risky product that will fit the car, then it is again expedient to go for this Bosch product. Otherwise, the list is long. If not satisfied with this product, it is still advised to do many reviews and choose the wiper for the winter.